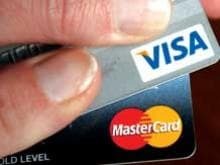 Would you allow a third party to deduct money directly from your credit card, without requiring your confirmation, each time you used its service? Popular taxi-hailing service Uber allows you to locate available taxis in the vicinity through the internet and summon them. Your credit card data is stored with Uber which deducts the fare automatically at the end of the ride and passes on the payment to the cabbie, thus saving you valuable transaction time. The RBI, however, says such transactions violate norms and are fraught with risks. If it has its way, popular service providers such as Google and Apple, which use a similar process for paid content and music, will also be affected. The counter argument is that the Uber model could potentially save as much as 91 million man hours of productivity. So, Should the RBI adopt this model for all players or should it bar it in its bid to protect consumers from possible fraud? Do share your views with us.